Agave lines the shopping baskets of most uber cool Gwyneth followers those days and it is widely available in most whole-food and nutrition store shelves those days. Having done a bit of research however, I am appalled to discover that most agave (nectar or syrup) is nothing more than a laboratory-generated super-condensed fructose syrup, which is devoid of virtually all nutrient value. More to the point, agave syrup is mostly fructose and it is so highly processed and refined that it bears no resemblance whatsoever to the plant after which it is named. As it’s a processed food ingredient, it may contain from 55-90% fructose. High fructose corn syrup is about 55% fructose, so even in the best case, agave syrup offers no advantage whatsoever to the health conscious. The evidence is overwhelming that when consumed in large quantities, fructose is the extremely damaging. For that reason, be aware that you have to know how much fructose you are consuming and even to take the trouble to determine how much fructose your fresh fruit contains, so as to ensure that you stay within the healthy boundary levels daily. Dr. Richard Johnson, is a Professor of Medicine at the University of Colorado. He runs the kidney division as well as the kidney transplantation programme. He is also widely respected as a leading researcher into what we have come to know about blood pressure. He has also written the best book on the market on the dangers of fructose, called The Sugar Fix and his newest book The Fat Switch, is a worthwhile read also. Dr Johnson spends 70% of his time doing research, so it is to him and others like him, that we have to look if we really want to understand obesity. He didn’t start his research into obesity by looking at fructose, however. It began when he realised that uric acid is a major component of obesity, high blood pressure and kidney disease. He discovered that 90% of obese adolescents newly diagnosed with high blood pressure had elevated uric acid levels. He was able to normalise the blood pressure in 87% of these adolescents simply by lowering their uric acid levels. The question was: What raises uric acid? Well suffice to say It’s been known that meats and purine rich foods can raise uric acid, but for sure one of the most effective ways to raise uric acid, is by consuming large amounts of fructose. You will already be aware that fructose is a sugar. But what you may not realise is that it’s distinctly different from other sugars. Fructose is metabolised in your body through very specific pathways that differ from those of glucose. Uric acid is a byproduct of fructose metabolism and fructose typically generates uric acid within minutes of ingestion. What is now known by researchers is that sugar makes you eat more sugar. More to the point, eating sugar triggers the production of our brain’s natural opioids — a key factor in addiction. Our brains essentially operate a reward centre which through DNA pathways induces an opioid release when certain behaviour and or substances are used. The knock on effects enslave compulsive behaviour to repeat or catch up, similar to addictions to nicotine, alcohol, cocaine, morphine or heroin. The more we eat sugar, the more we crave. This vicious cycle underpins the evidence society will have to address,if we have to tackle obesity, because it is definitely linked with the overconsumption of sugar today and the knock- on effects and costs which ultimately links to health and wellness in society with the startling economic effects. I am thoroughly convinced that it’s one of the leading causes behind the rise in needless suffering from poor health and premature death. Although uric acid is a normal waste product found in human blood, high levels of uric acid are normally associated with gout. But it has been known for a long time that people with high blood pressure, overweight and people with kidney disease, often have high uric acid levels as well. Many uninformed doctors and nurses pay little attention to gout, leaving their patients to mistakingly believe that their raised uric acid are secondary in these conditions, and not the root cause of their obesity and bad health. But Dr. Johnson’s research indicates that it could be a lead player in the development of these conditions, rather than just a supporting actor, when its levels in your body reach 5.5 mg per dl or higher. At this level, uric acid is associated with an increased risk in developing high blood pressure, as well as diabetes, obesity and kidney disease.Dr. Johnson believes the ideal range for uric acid lies between 3 to 5.5 mg per dl. The important point that bears thinking about also based on Dr Johnson’s point, is that if you take two animals and you feed one fructose and feed the other one the exact same number of calories, but give it as dextrose or glucose, it is only the fructose-fed animal that will develop obesity, insulin resistance, fatty liver, and high triglycerides, signs of inflammation, vascular disease, and high blood pressure. This bears out in humans as well. Over the last 20 years, we’ve seen a dramatic increase in fatty liver disease throughout the world, and studies done by Dr. Johnson and a group of researchers at Duke University showed that people who develop fatty liver drink a lot more soft drinks, and ingest far more fructose than the average person in the community. We strongly advise keeping your TOTAL fructose consumption below 25 grams per day. It would be wiser to limit your fruit fructose to 15 grams or less, as it is known that we consume “hidden” sources of fructose in foods and drinks. 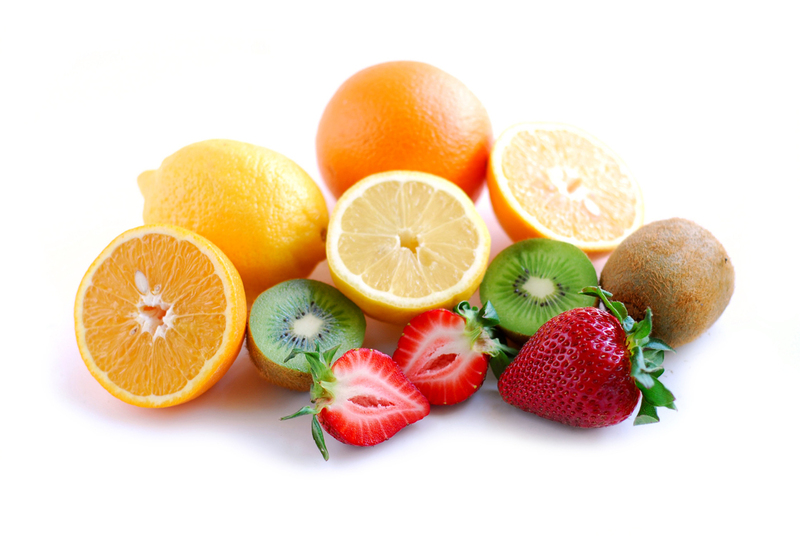 It is very important to keep in mind that fruits also contain fructose. 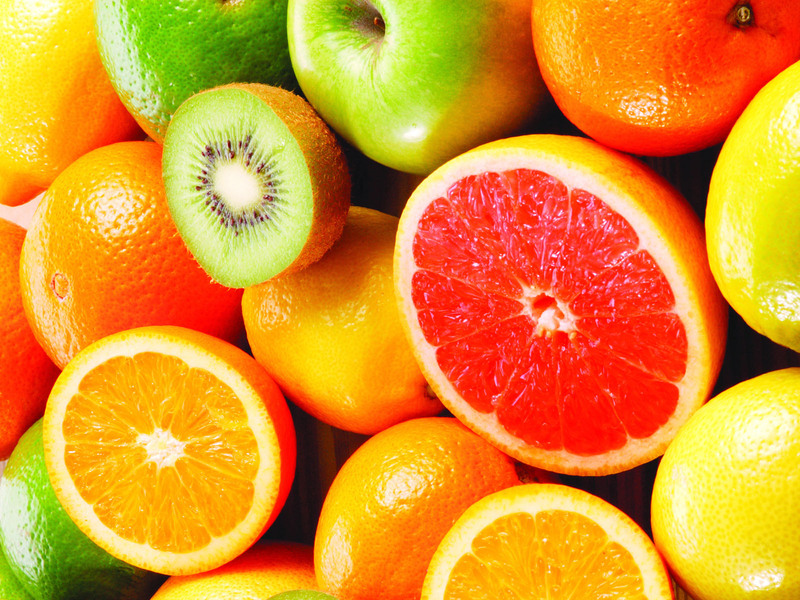 An important factor is that whole fruits also contain vitamins and other antioxidants that reduce the harmful effects of fructose. what may not be appreciated is that fruit juices and any other juices are nearly as detrimental as soft drinks, because a glass of juice is loaded with fructose. When fruit or vegetables are made into fresh juice, the fiber is separated and a lot of the antioxidants are lost. My point is that fructose alone isn’t evil, as fruits are certainly beneficial. But we must be careful with our consumption of fruit, because when you consume high levels of fructose it will negatively impact your biochemistry and physiology and lead to chronic degenerative disease. The AVERAGE fructose dose is 70 grams per day, which exceeds the recommend limit by 300%. The recommended daily level for people who want to live well, is 25 grams, whilst the ideal level is 15 grams daily. 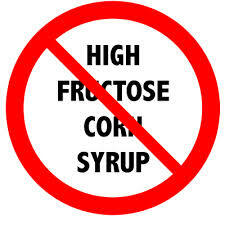 Buyer Beware also that High Fructose Corn Syrup (HFCS) is the food industry’s cheapest commodity. It is added to almost every processed food. it is also very easy to exceed 25 grams of fructose daily, due to the overwhelming fact that HFCS is the ingredient that more likely as not is the hidden fructose in your diet. I have discovered that amongst “my better sweetener options” are stevia (herb), and raw organic honey, in small amounts. Honey is also a concentrated form of sugar, but at least it can offer some health benefits, provided it’s high quality. The alternative to sweetening my rhubarb without white sugar or expensive agave is to combine cooked rhubarb with a berry puree to sweeten it. These fruits contain natural fructose sugars as well as soluble fiber that helps digestion and helps to lower high blood pressure. Choosing ripe fruits, which taste sweeter is the a practical choice. Alternatively, one can sweeten rhubarb with dried fruits such as dates, raisins, figs and dried apricots, by chopping the dried fruit into small pieces and then leaving them overnight. This mixture can be cooked slowly and thoroughly so as to extract the naturally occurring sugar and then the compote can be left to chill. Before adding the sweet compote to the chilled previously cooked rhubarb. Dried fruits are also high in potassium, iron, vitamin C and other nutrients. Another method is to cook rhubarb with fresh beetroot, which has a deep red to purple colour. Beetroots are high in natural sugar, especially if you use fresh sugar beets. Those vegetables are high in natural sucrose and are often used to produce refined table sugar, so they offer a good choice in natural sweetness.